The paper presents the general concept of a multiresolution database and methodology of harmonisation of reference databases, which create the resources of geodetic and cartographic data in Poland. Utilisation of a coherent conceptual model of a reference database is of key importance for development of spatial data infrastructure in Poland. Such coherent mechanisms of spatial data exchange between many state registers have not existed in Poland. This situation may be changed as a result of introduction of one, coherent topographic database; this will also allow to synchronise those registers. The authors have developed a concept of the multiresolution database, using the general concept of the MRDB type database, as well as Polish experiences existing in this area. The most important features of the Multiresolution Topographic Database (WTBD) are: possibility to integrate various information resources, systematisation of data integration processes, automation of map production processes and limitation of multiple data gathering by various map producers. 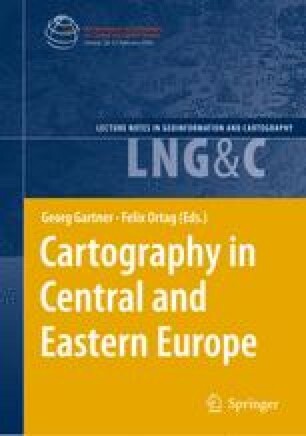 The authors have also proposed the concept of integrated systems of topographic and thematic map production basing on collected reference data and have implemented systems of management of elevation data, thematic data and a set of data stored in the National Register of Geographic Names. A prototype of geoinformation website have been also developed within the frames of the discussed Project.